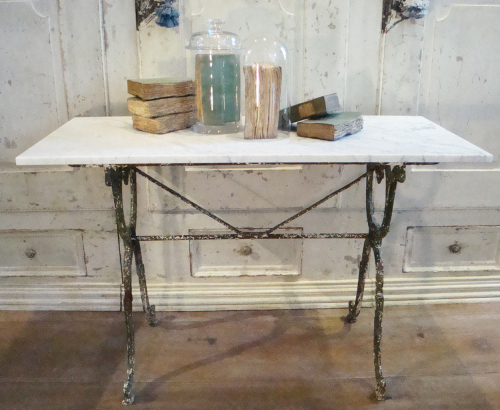 French Cast Iron Table with marble top - decorative base with remains of old paint. Perfect for the garden or as a console inside. Circa 1910.